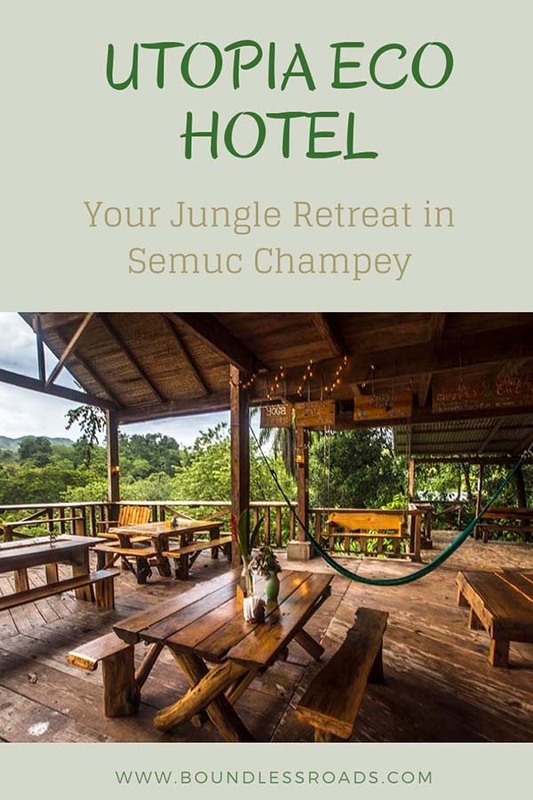 There are several places where you can stay around Semuc Champey. I chose Utopia eco hotel and it was one of the best choices I could have made. It added a lot of magic to my experience making it extra special. Here I will tell you why. 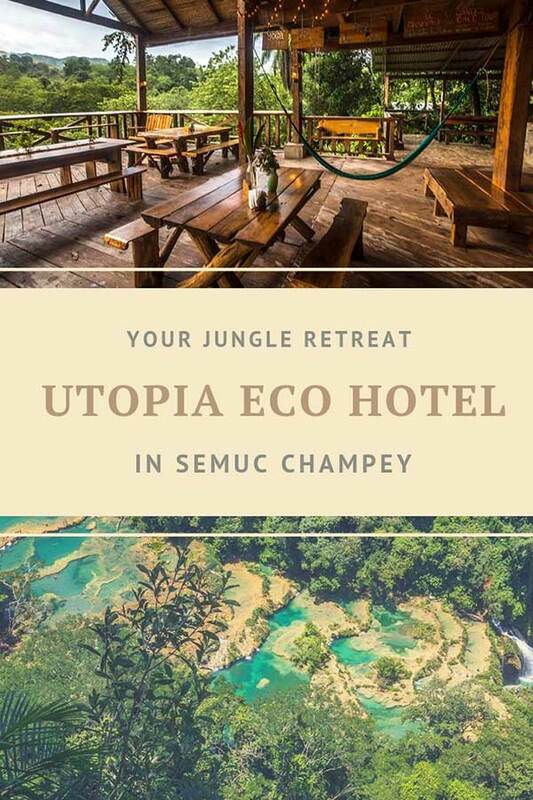 While I was planning my trip to Semuc Champey, while I was in Flores, and my lovely hosts from Ciao Cacao, a cute little hostel in the quaint touristy city, suggested that I should stay at Utopia, the place where they have been volunteering for one year. Seeing how they took care of their own place, I didn’t hesitate a moment and after a quick look on Utopia website, I was already in love. I emailed the hotel and ask if they were interested in being featured on my blog, in exchange for a complimentary room. They offered me a discount instead, but I thought it was good enough as I love to promote special places regardless of any sort of commercial deal. I was actually extremely happy and nervous at the same time, for the commitment. I read some reviews and everybody was raving about the place, so I was happy I was able to experience it myself. The promise was a stay in a sort of Eden, in total connection with mother nature, not necessarily in luxury as per the most common definition of the word, but those kinds of places where you are totally surrounded by a thick jungle and the bucolic sound, in a friendly and joyful environment, with comfortable and cozy accommodations, regardless of the category, and a choice between socializing or sitting and meditating by the river, or take a yoga class, relax and find your inner self. The promise was kept and I wished I could have stayed longer. 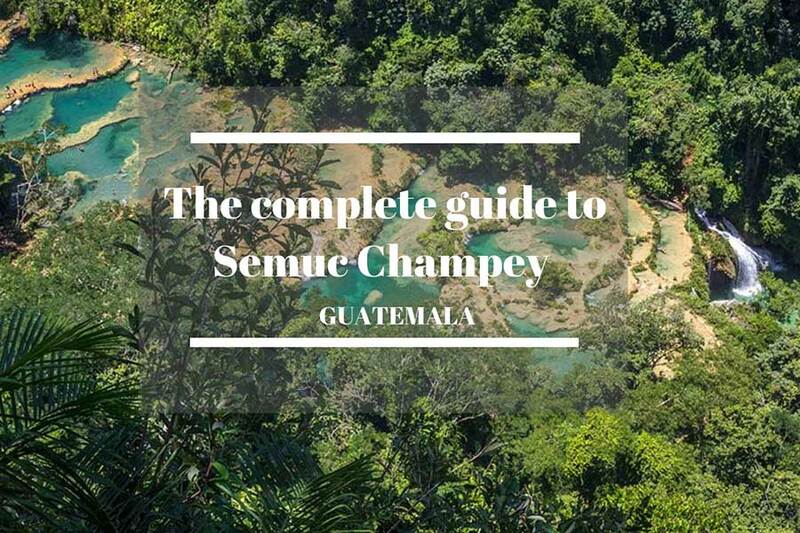 Two nights and one full day is the minimum necessary, to be able to visit Semuc Champey, situated at 30 minutes’ drive or 1-hour walk from the Lodge. But if you could carve out of your itinerary another night, I would definitely recommend it. Everything felt so peaceful there. WIFI is wisely restricted to a certain area so as to promote a more mindful experience. And despite my obsession with being always connected to the world, I was surprised to see myself enjoying that forced break from the zombie zone, as they call the WIFI area. 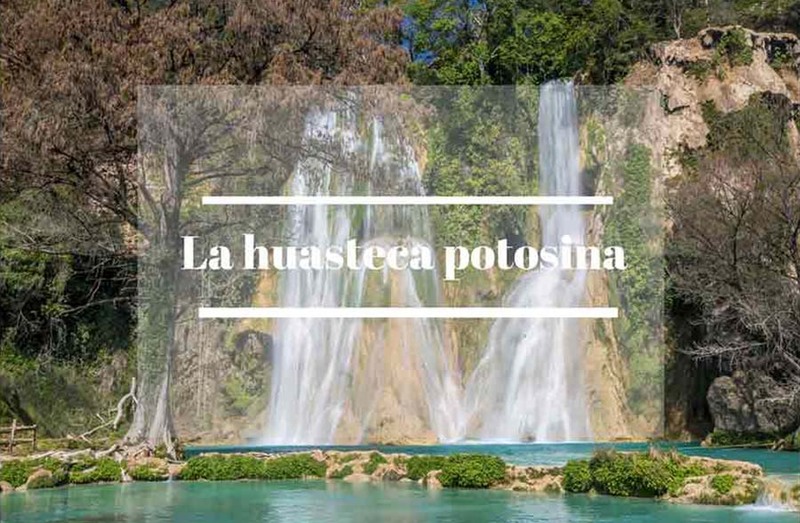 You can just relax, read a book at the sound of a pleasantly noisy nature, quite relaxing, take a walk in the surroundings, have a swim in the river, meditate, take yoga classes, mingle with the friendly staff, write a book or just stare at the sweeping jungle from the lounge/bar area. It’s just inspiring. I have actually written a couple of articles, this included, while sitting there on the terrace exhilarated by the misty view and the chirping, buzzing, and humming of the local fauna singing their lullabies. But let me tell you a little bit about the place. The first thing you see when you get there, after a bumpy but spectacular pick up drive in the jungle, is the spacious terrace overlooking a green carpet, wooden chairs, swings, and big tables, everything nicely laid out and decorated in a “fancy jungle style”, conveying a warm homey feeling. I was invited by a young receptionist to sit at one of those massive tables and start the check-in process, while he would explain about the hotel services. Eventually, I met the manager who joined us and offered me a lovely upgrade to a private cottage on the river. He didn’t know how much I appreciate upgrades and that he had just made my day. Now I love this place even more. 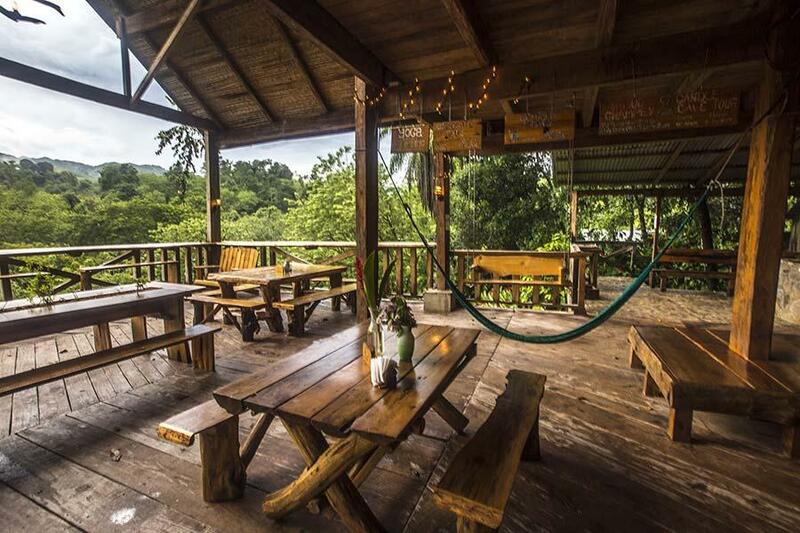 The lodge offers different kinds of accommodation, so as to be suitable for all sorts of budgets and for those who want to live the ultimate jungle experience. 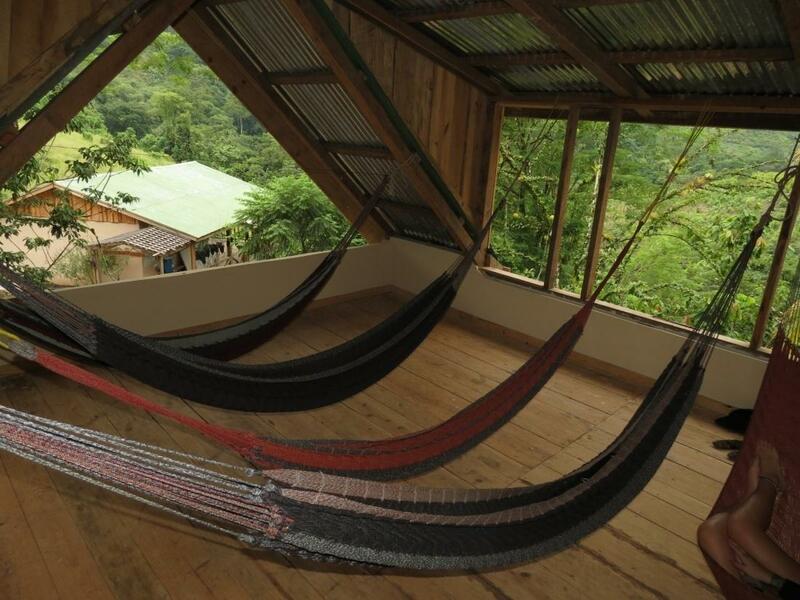 From an area where you can camp, if you have your own tent, to the hammocks located just below the roof of the main building, the classical hostel bunk beds and the nooks (private rooms with shared bathrooms), located in a loft just above the restaurant and lounge. Lastly, my favorites, the river cabins, with private bathrooms, scattered around the lush premises of the resort, right by the river. You don’t necessarily get a view, but definitely can hear its soothing voice of the water. 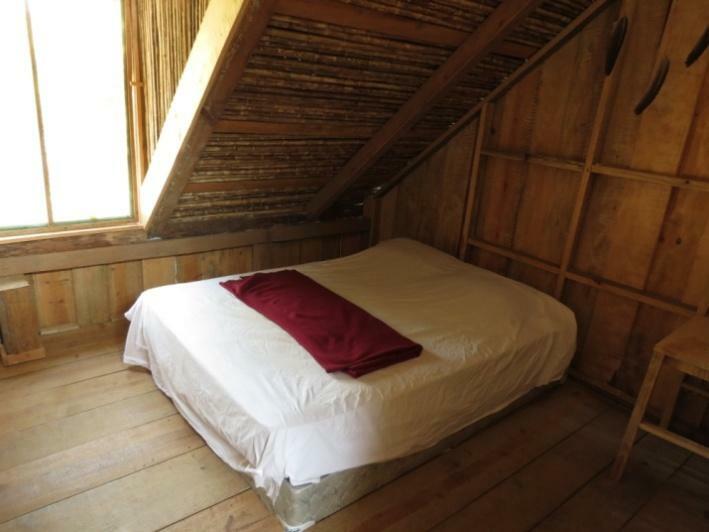 Despite being the most expensive rooms of the lodge, the private river cabins are very simple, nothing pretentious. Don’t expect premium linen or the finest finishing, or hot water, but for sure it is the best way to enjoy the place if you want to treat yourself and splurge for a couple of nights. The stone walls and wooden furniture, the external shower, and the outside patio overlooking the river bestow a romantic and intimate atmosphere, the perfect place whether you are traveling with your loved one or you are a solo traveler who loves peace and privacy, like me. 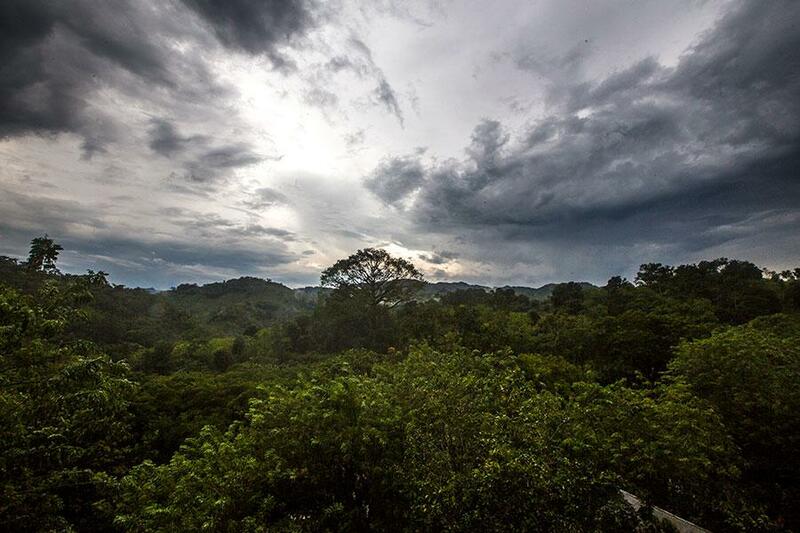 As I am writing this post from the verandah of the reception and restaurant area, it’s almost dinner time and I am waiting for the bell to ring, while I am looking at the cloudy sky hovering over a lush thick forest. Lightning bolts are brightening the sky at an almost regular rhythm. All I hear is thundering and humming, but after a while, it all becomes a natural sound that you even stop noticing. I stop writing and look around, a few people chatting on the stylish wooden benches, staff walking around barefoot to make sure everybody is well. It looks like a family reunion. It feels good. At Utopia, you reserve your dinner in advance. You can choose from the general menu or you can have a fixed 2 courses menu that changes every night, all vegetarian, although not necessarily super healthy. And it’s served at 7 pm, when all the guests gather in the terrace and eat all together. There were not many people when I was there as it was low season, and I am sitting by myself in contentment until two young souls a male and a female, with pretty faces, asked to join me. One of them, the girl, turned out to be the yoga teacher who is living there in exchange for yoga classes and some other random jobs as needed. We hit it off immediately and engaged in a very interesting conversation which also convinced me to take her yoga class in the following morning. In reality, it was already in my plans but I was even more determined by then and it was the best decision ever. A burst of energy. After a fulfilling and inspiring conversation, we decided to call it a night and off I went to my cozy private space. There, while cuddled by the soothing sound of the river, I couldn’t avoid thinking about my incredible journey and the mysterious ways life unfolds, the people we meet and the experiences we live. They seem pure coincidences but I am sure it all has a meaning and there was a reason why I was there as well. Right there, I realized how everything has always been perfectly falling into place, in my life and in this journey of mine across Latin America. You know those epiphany moments that randomly happen in life? Well, I had one during my stay at Utopia. Although it’s also a hostel, they don’t have a kitchen that you can use. This is not common in Guatemala. WIFI is limited to one separate area. Yoga is free but you are kindly requested to leave a tip. 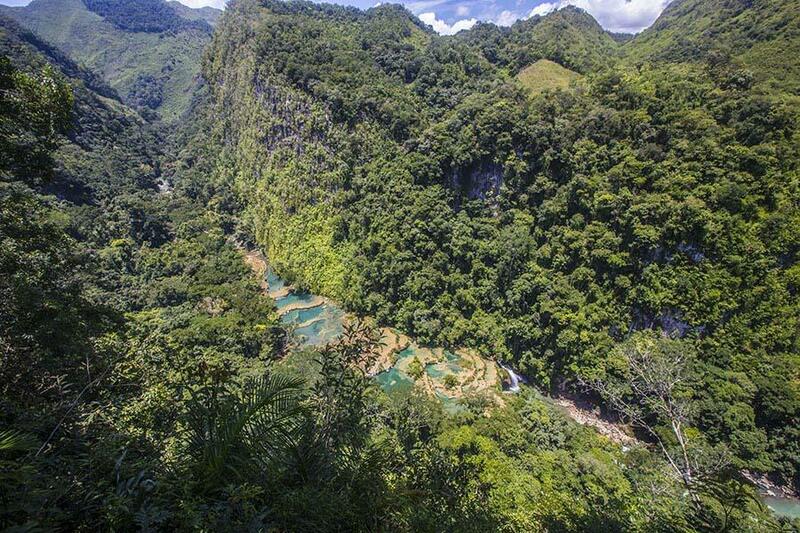 The hotel has a shuttle to get you to Semuc Champey which costs 15 Quetzales, but you can also walk. 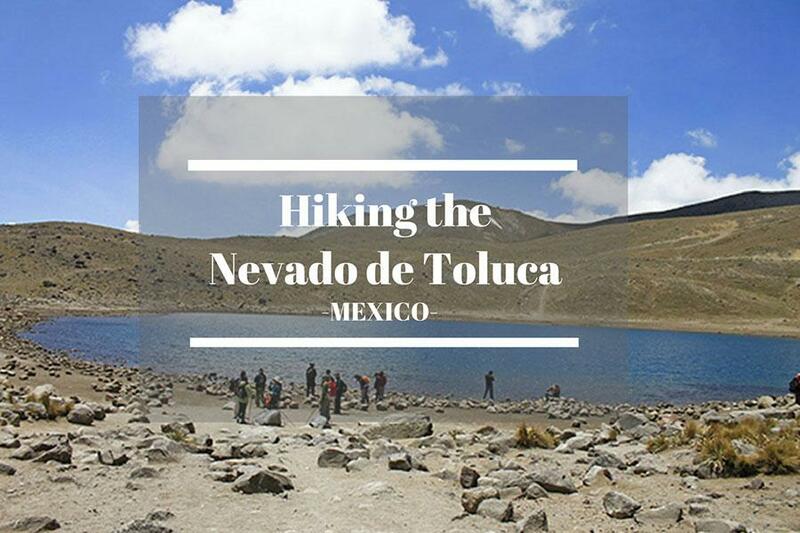 It’s about 45 minutes to 1 hour and some part are very steep. 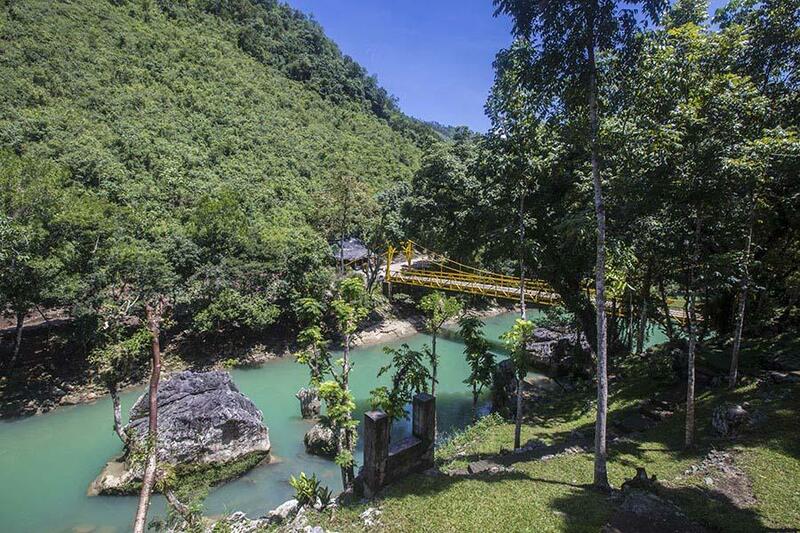 If you want to do the tubing tour from Semuc Champey back to the hotel, it’s very well organized, because you can leave your belonging with the staff to bring it back to the lodge for you. You just focus on the fun. The staff can organize your “turismo bus” wherever you need to go afterward. It may look more expensive than others, but it’s not. 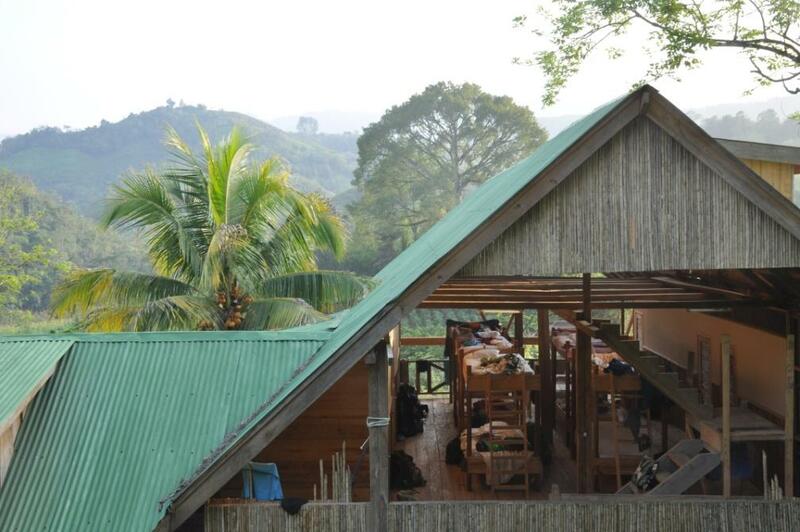 In fact, you need to consider the transportation to Lanquin as well, which adds up to the final price. So overall is the same price as booking anywhere else. The restaurant only offers vegetarian and vegan options. I personally suggest you book a minimum of 3 nights so you have one full day to enjoy the resort. It’s all worth it. Let your worries (and your phone) behind and soak up all the good vibes from mother nature!